ATI’s patented No-Hooks™ rapid prototyping software allows you to adjust ECU-controlled global RAM variables. The addition of OnTarget™ expands that capability by replacing or bypassing the original ECU code with custom model-based control algorithm code. This controls the selected RAM variables on the ECU under test. There is no need to access or modify the ECU source code. All you need is the ECU executable and description files. 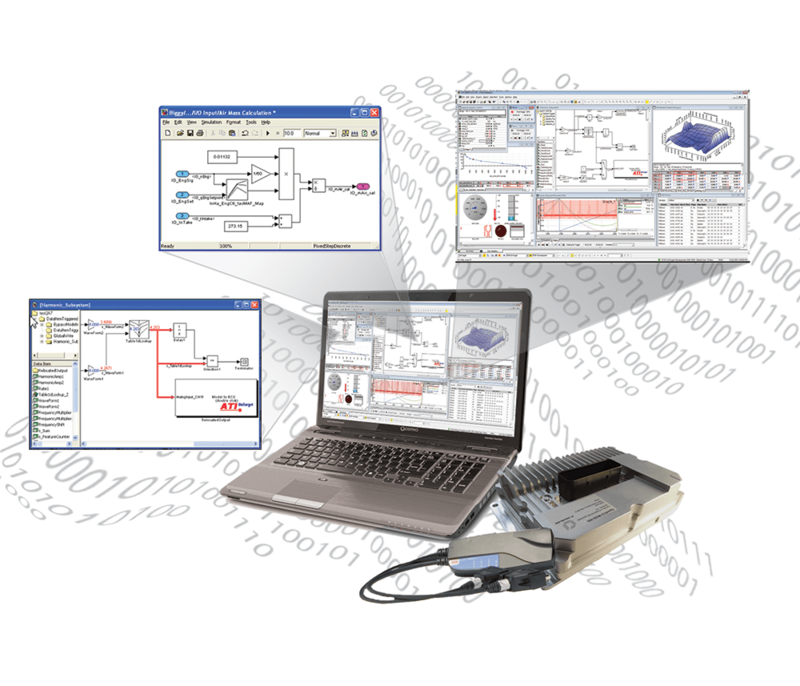 OnTarget was designed for use with Simulink® models to develop alternative control algorithms. You can bypass variables with outputs from Simulink. This allows you to add new control algorithms to the existing ECU code without modifying original source code. The No-Hooks/OnTarget bypass runs inline with the rest of the original code on the target ECU. There is no need for data transfer protocols, or for the resulting delay of running the bypass on external devices. This translates to virtually no latency. OnTarget includes the appropriate Simulink block sets and target build files for generating C code using Simulink Coder™. It also includes block sets and target build files so you can use compilers like ATI GNU to compile code for supported microprocessors.